Bahá’u’lláh (1817-1892) was the founder of the Bahá’í Faith. In 1863 he announced that he was the fulfillment of a messianic prophecy given by the Báb in 1845. This prophetic call he said was made clear by a vision he had while imprisoned. 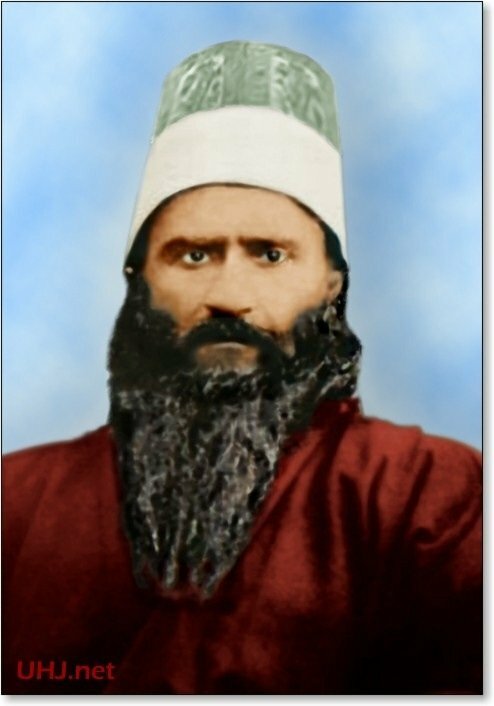 The vision was of a heavenly Maiden who he said gave him his mission as a messenger of God, or Manifestation of God, as had been prophesied by the Báb. While engulfed in tribulations I heard a most wondrous, a most sweet voice, calling above My head. Turning My face, I beheld a Maiden—the embodiment of the remembrance of the name of My Lord—suspended in the air before Me. So rejoiced was she in her very soul that her countenance shone with the ornament of the good pleasure of God, and her cheeks glowed with the brightness of the All-Merciful. Betwixt earth and heaven she was raising a call which captivated the hearts and minds of men. She was imparting to both My inward and outer being tidings which rejoiced My soul, and the souls of God’s honoured servants. The divine person makes known that humanity does not understand or comprehend God. They deny God’s power. They desire God’s Presence, but have “turned aside” from God. If you would like to submit a “First Vision” account, either personal or found, for inclusion on this website, please click here. Thanks to Jaxon Washburn for submitting this account.